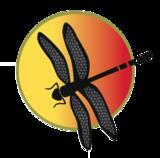 This one-day course of instruction is offered through Dragonfly Release. Are you safe in your workplace? This course (endorsed by the NSWCB), provides knowledge and skills needed to clearly understand your responsibilities to each other, the public and your employers regarding OHS in a Massage Therapy based or clinical environment. The goal is to ensure that both the therapist and their patients (the public) are similarly protected. Please note a full non-refundable/transferrable payment is required to secure your place on this course, payable by etransfer to the above email address.